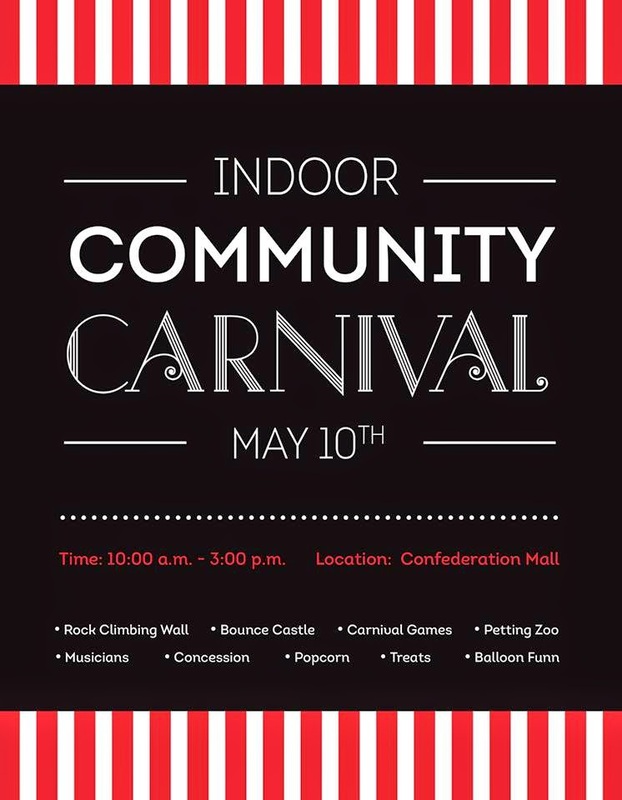 An indoor community carnival will be held at Confederation Mall Saturday, May 10, from 10 a.m. to 3 p.m.
Country Farms Marketplace will fill the mall halls with great food, arts, crafts and products from local home-based businesses. From 10 a.m. to 3 p.m., the Rosthern Youth Farm Bible Camp will provide carnival games, a petting zoo, rock climbing wall, bouncy castle and concessions. From 11:30 a.m. to 12:30 p.m., Warren from Balloon Funn will join the party.